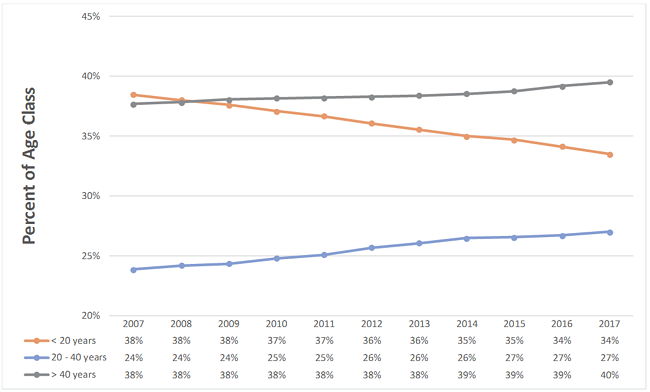 This is the third in a series of posts covering the recently-published report compiled by Forest2Market titled “Changes in the Residual Wood Fiber Market 2004 to 2017.” Our analysis uncovered four key findings that show both structural and temporal market shifts in recent decades have impacted the markets for wood fiber residuals. This independent report was commissioned by Resources for the Future (RFF), the US Endowment for Forestry & Communities, Inc. (Endowment) and the National Wooden Pallet & Container Association (NWPCA). Key Finding #3: Renewed softwood lumber demand and announced capacity in the US South present challenges, though more for landowners than producers of residuals. 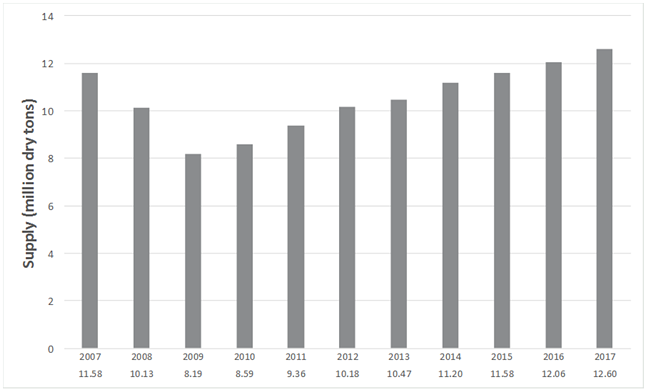 The total number of operating southern yellow pine (SYP) sawmills in the US South has decreased over the last decade as a result of a very lean, transitional period in the years following the Great Recession. But as housing starts have increased and demand has remained steady, lumber production has fully recovered to pre-recession levels and the segment is rapidly expanding; five new facilities were established in 2017 and several new sawmill projects are on track to begin construction in 2019 and beyond. Most of these facilities plan for annual capacities of 250 to 350 million board feet (MMBF)—roughly 2 to 3 times the size of the previous generation of mills. Existing mills are also expanding—adding drying capacity, running longer hours and upgrading equipment to take advantage of the lumber market and plentiful supplies of SYP timber. In the markets where these new facilities are breaking ground and existing facilities are adding capacity, mills that are smaller, less-efficient and unwilling to adapt to the market change may be unable to compete. When these new sawmills are operational, the supply of wood fiber residuals will increase between 0.32 and 0.44 million dry tons per year based upon the published capacity estimates. What’s driving the increase in production specifically in the US South? 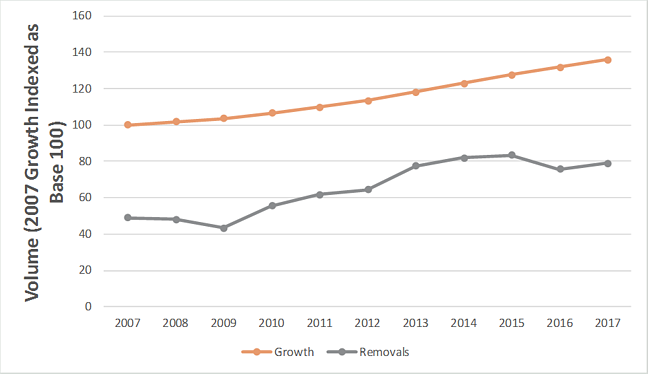 Total pine sawtimber inventory and harvested volume have increased at similar rates in the South, but growth still outpaces removals by 82%. As a measure of overall sustainability of the timber resource, this is one of the contributing factors that makes the region an attractive investment opportunity and has led to numerous upgrades and expansions of existing sawmills. While timber supply is a major consideration for expansion projects, it is far from the only factor; labor pools/costs, competitive market dynamics, transportation conditions and haul distances are equally important concerns. As a result of the abundant pine sawtimber supply, prices have remained low and globally competitive with little volatility—all important criteria for investment decisions. This trend shows no sign of abating due to two independent decisions made by opposing stakeholders in the supply chain. In the aftermath of 2008’s financial collapse, sawmills were forced into survival mode. The mills that survived invested in new technology that improved efficiency and lowered costs. It is not, in fact, an overstatement to say that the industry shifted its cost structure significantly. At the same time, as log prices collapsed, landowners simply chose not to sell timber, opting instead to wait out the down cycle. A strange thing happened as a result of this confluence. As landowners waited for a recovery, trees grew larger and mills, owing to their new-found efficiency, used fewer trees. The net result after 10 years was that forests in the US South had more and larger trees, and sawtimber prices in the region are virtually unchanged since 2007. Prices have reflected this change in the market. 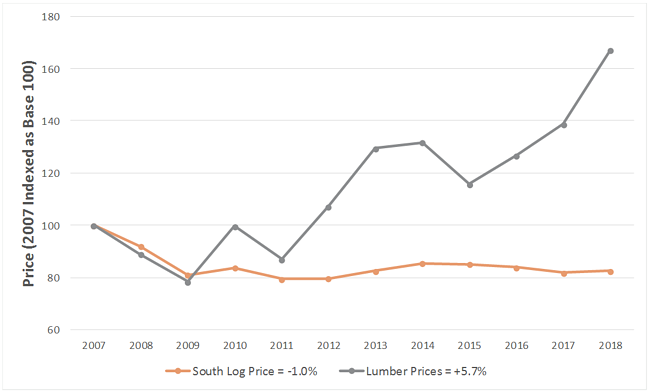 The oversupply of pine sawtimber and improved sawmill efficiencies are keeping sawlog prices low, even as demand for lumber and sawmill production increases as a result of an improving housing market. At the same time, the demand for pulpwood has remained strong, and the effect of the aging forest and decreasing acres of pine pulpwood has not been realized. While sawtimber prices have been low, lumber prices skyrocketed in 1H2018, though they have decreased precipitously since peaking in June, 2018. A number of factors contributed to the sudden rise in prices, including US tariffs on Canadian softwood lumber that were instituted in 2017 and a shortage in log supply in British Columbia (BC) due to mandated reductions to its annual allowable cut (AAC). The 2008 recession had a devastating effect on sawmill production in the US South. Thirty-six southern yellow pine mills were shuttered, and capacity was reduced by 30%. Consequently, nearly 4 million tons of residual chip supply evaporated from the market between 2007 and 2009. With improved new housing and remodeling demand, however, lumber and chip production recovered by 2015 and even surpassed 2007 levels in the following 2 years—making a slow but full recovery. 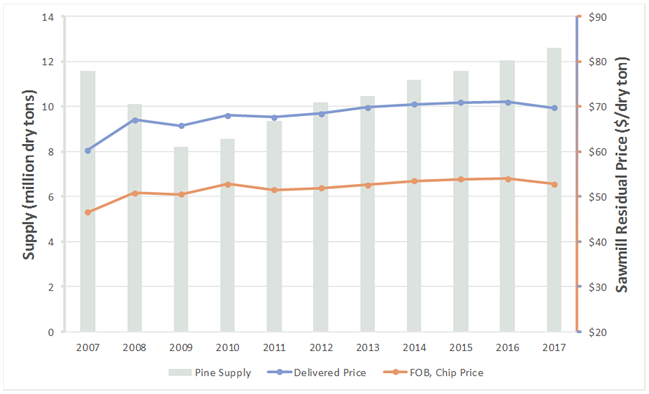 Prices for residual chips have increased modestly over the past 10 years; as pine residual chip supply increased, both delivered and FOB chip price (the price that sawmills get paid, excluding freight) also increased. The increase has been modest, however, below the rate of general inflation. Based on any measure of manufacturing output, the US South solid wood (lumber and panels) and softwood pulp markets have returned and surpassed pre-recession levels. Their cost structure ranges from globally competitive (pulp) to the envy of the world (lumber). New capital investment is pouring in from around the globe, and profitability is at record highs. Where demand for softwood lumber has returned, so has supply of residuals in the form of chips, sawdust, shavings and wood fuel. Conversely, where solid wood demand has not returned (particularly for hardwood lumber), residual supply has followed suit. The softwood/pine wood residual market has been soft, but stable for some time. With expanding southern lumber production and associated residual production, we expect the softening to continue. 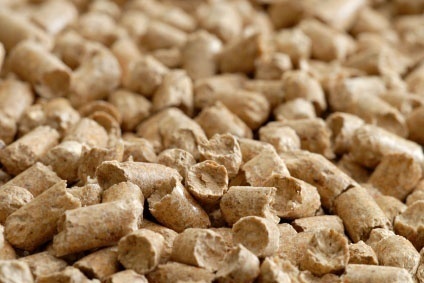 But we don’t expect the excess supply of chips and wood fuel to inhibit growth in the sector; it is most likely that the additional material will be quickly absorbed by the market. Growth in softwood pulp, composite panels and wood pellets will counterbalance the new supply. Pulp mills especially have flexibility in their supply chains and can easily substitute lower-cost residuals for higher-cost pulpwood. There is an abundance of conifer/softwood wood fiber from surpluses that accumulated during the Great Recession and its aftermath. For the foreseeable future, landowners are likely to see the downside of this market dynamic. 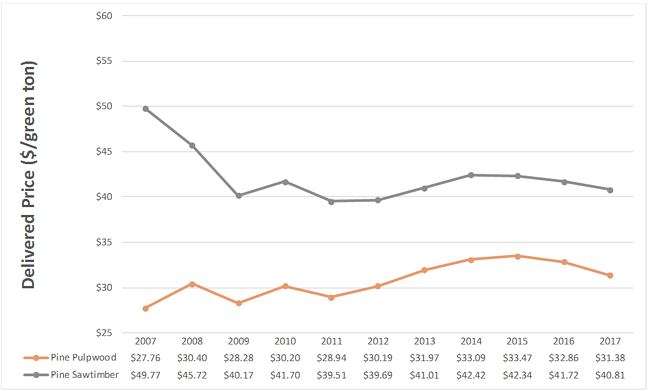 The sale of pine sawtimber drives forestland owner returns, and these prices are stuck at all-time lows; even with new lumber demand, excess inventory will limit an upside price correction for years (though intense harvesting and competition for the pine resource will occur in local markets). Sawtimber prices have yet to reflect the uptick in lumber markets, and the substitution of residuals for pulpwood will also put downward pressure on pulpwood pricing.